Работает с пистолетными и винтовочными патронами. 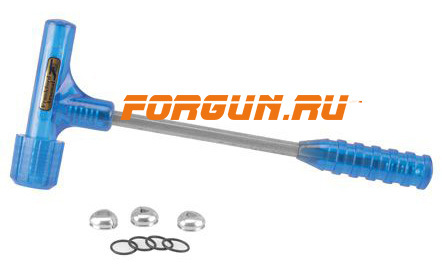 When you need to pull some bullets, for whatever reason, an impact-style tool is the easiest method. Just one stern "whack" and the bullet is separated from the brass. It is as easy as that. Three different collets are included allowing you to pull bullets from just about every caliber from 22 Hornet to 45-70, whether rimmed or rimless. Versatility like that makes this bullet puller the only one to have. Don't wait until you need it!